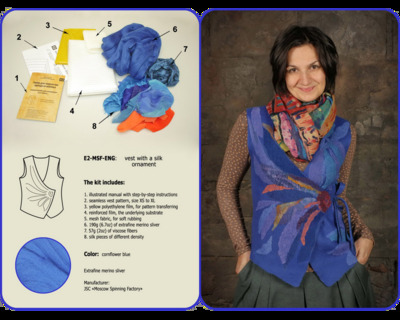 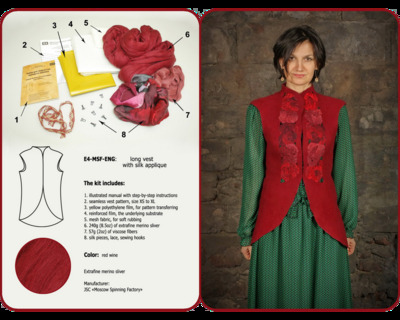 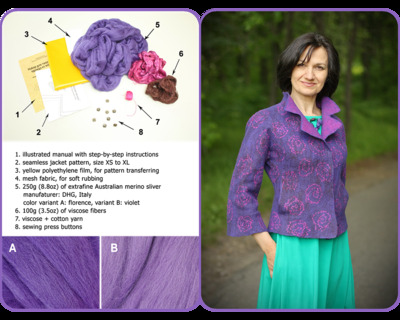 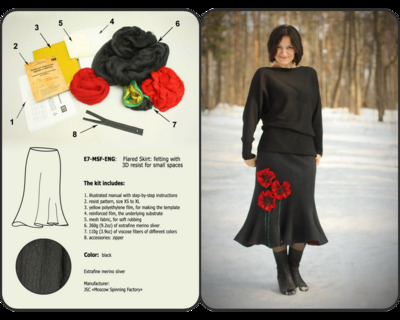 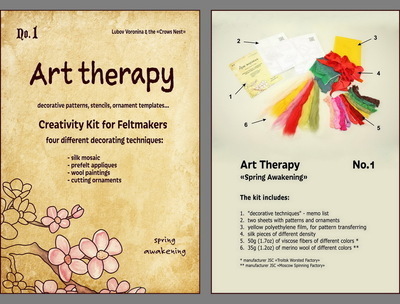 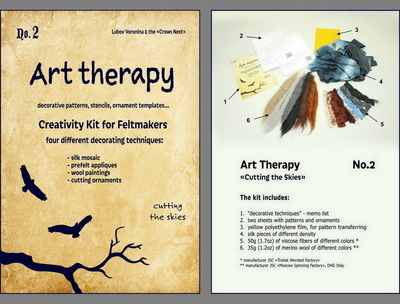 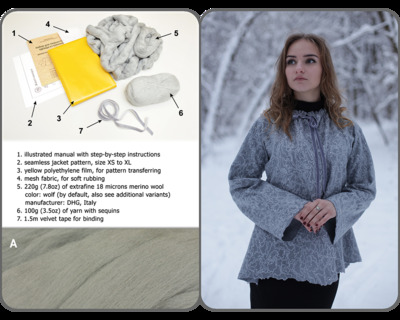 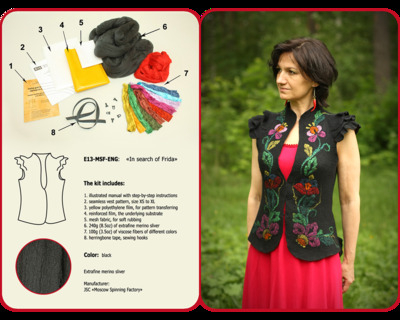 These kits are intended for beginners, for advanced artists who already have experience in felting and for all those who want to learn the process of felting on the example of simple seamless vests (skirts, etc.). 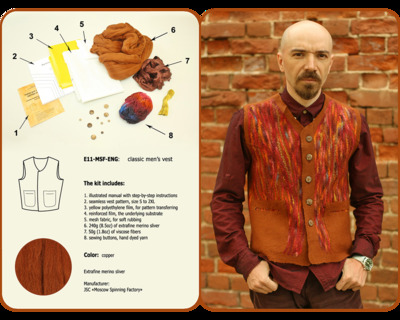 Even using the same decoration technique, you can obtain your own unique, one-of-a-kind garment. 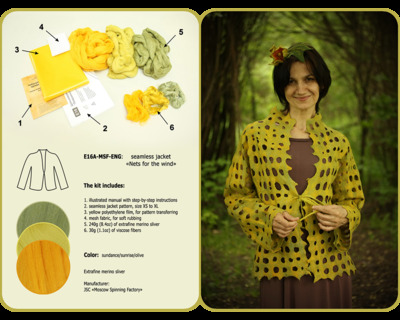 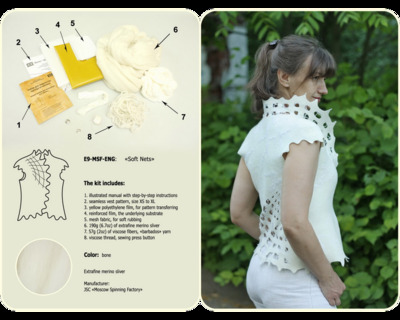 This is "all-in-one" kit that contains everything needed to help you make your garment (except some little things: a water scoop, a towel and soap) - illustrated manual with step-by-step instructions, pattern, yellow polyethylene film (for pattern transferring), reinforced film (the underlying substrate), mesh fabric, for soft rubbing. 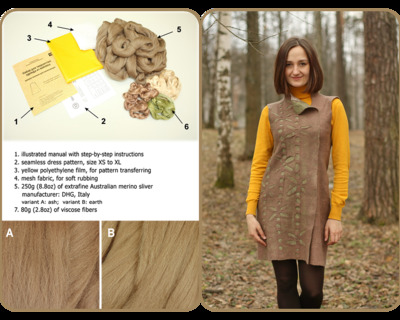 We've gathered all the materials: an extra fine wool , decorative fibers and other accessories. 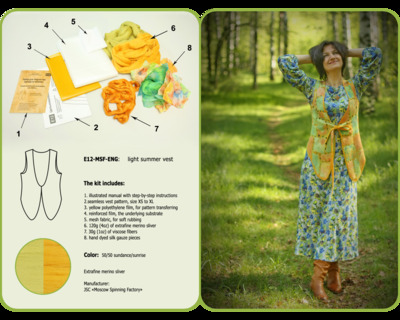 E15. 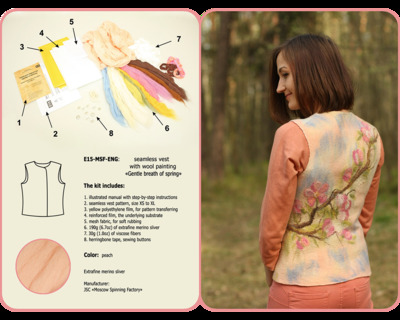 "Gentle breath of spring"